When I entered the workforce nearly a decade ago, the notion of working remotely or working flexibly wasn’t even remotely on my radar (see what I did there?). But, seriously, I didn’t know it was a thing. And I’m pretty sure my classmates nor any else our age knew it was .a thing either. In all honestly, I didn’t really think anything else was possible aside from those common, prestigious, seemingly-pretty university courses we constantly hear about (which, ironically, lead to a very different career path to whichever course said student studied…). In 2015, somewhere around the time that I started to plot my escape from my job in the City, only then did I come across this alien world of working remotely. What was this thing? I get to sit on a beach, with a laptop and… pretending I’m working? PS. This definitely isn’t the reality. In fact, it’s darned-well impractical. Sun glare on your laptop screen, laptop near water… a whole host of impracticalities. It’s nice for that Instagram shot, though, eh. In the years that have followed, I have become increasingly aware of this thing called remote work, and watched how it’s become ‘more of a thing’ as the world of work changes before our very eyes. I have friends who have worked remotely, even been nomads overseas, and this time last year (April 2018) I, too, started working in my very first remote job. I was both ecstatic and rather nervous. (Note to self: a future post needed here). This whole remote-working thing has really taken off. More importantly, it’s being understood for what it actually is and the benefits it offers organisations and employees on numerous levels. From increased productivity, to being able to hire the very best person where they are in the world, to better being able to manage wellbeing, remote working is finally being seeing as a viable option. There are even whole companies, like Buffer and Wordpress, whose entire workforce is remote. Can you imagine that? Quite amazing. The guys over at Basecamp have even written a whole book about the concept, and why other companies might want to think about doing the same]. Oh, and Jason Fried is a self-confessed introvert, btw. It turns out that, without a bunch of office distractions, many of us are way more productive working remotely from the work environment of our choosing - whether it’s a home-based office, a coffee shop, or one of those trendy co-working spaces. (Right now, my “office” is the little private consultation room in my yoga studio. Oh I love it here). This whole remote working thing is a TOTAL blessing for introverts. Well, a blessing and a curse actually, as I found out when I first made the transition (it took some getting used to!) - a story for another post. Working remotely, the whole concept of presenteeism (aka “ooh, I’m not getting any work done right now but I ought to stay later after work as it’s what everyone else is doing and I don’t wanna be the odd one out”). Presenteeism is one of the most stupid, toxic things I have ever experienced. I can’t imagine the wasted hours and wellbeing and time spent sitting there doing nothing just for the sake of keeping up appearances. And especially so if you’re feeling generally tired and under-the-weather… probably from “working” late the previous night! Grr, ridiculous. Instead, as a remote employee, you are judged on your OUTPUT above anything else. Isn’t that how it should be? You get your work down - however you want, whenever you want - as long as you get it done, it’s all good. Forget all the office politics and all that bullsh*t.
As I have mentioned already, I am fortunate enough to be working in a remote position currently. Admittedly, I fell into it with a stroke of fortune as the company founder is a friend of mine. Now that I’ve experienced this way of working, I would struggle going back to working in a typical office environment. The extent to which I can manage my time and energy and wellbeing is immeasurable and worth all the gold in Fort Knox (ooh, I’ve been meaning to use that phrase for a while). Previously, I worked core hours of 8.30am to 6pm (often a little later, sometimes much later), with a 75-90minute commute each way. Killer. And I was working in sales. And I was in an open-plan office. This sensitive introvert was KO’d. Well and truly. By Wednesday. I’ve no idea how I got through the whole week. Somehow, I did. Just about. Introverts and HSPs/empaths, remote jobs were kinda made for us. And they make an ideal set-up for having the freedom/energy to create our businesses on the side, too. Again, I would never have had the time nor the energy to run any sort of side-project alongside my old recruitment job. Remote working is a whole new experience. I’d really encourage you take a look at it. You can find a remote working job out there, or even ask your existing employer to work remotely. I’ll be writing more about both in future posts. This new way of working is hella exciting. 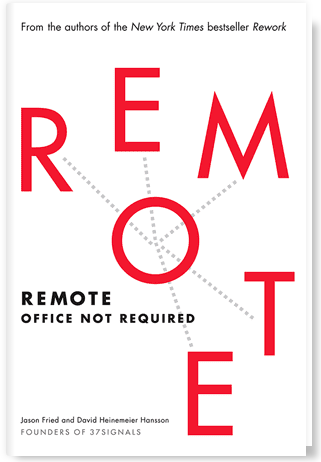 Remote is well worth reading. Unfortunately, we live in world where there are some pretty prevalent diseases out there right now, some of these physical and some mental. And yet there's another disease which also exists, so pervasive that many of us don't even realize that we have it. Part I in a 2-part series. My story as an introvert in an open-plan office, and how you can survive and thrive in an office environment. Procrastination. Thinking and daydreaming and then thinking some more. Starting things, teetering along briefly and then just not quiiiite finishing them? Sound like you? If so, you're definitely not alone there my friend. Jobs that exist now, but didn't 20 years ago. I still remember the hoo-hah around the start of the new millennium. It's crazy to think that was almost twenty years ago. TWENTY years. I was just ten back then. And yet I remember it so clearly. It would be another decade before I even started *really* trying to figure out what I wanted to do with my life. Back then, it was a case of me trawling through university courses and actual, established jobs. Seeing our well-meaning but unhelpful careers adviser at school. Doing those "career tests" which would throw up so-called "matches" as wide-ranging as zoo-keeper, milk-float driver and engineer.